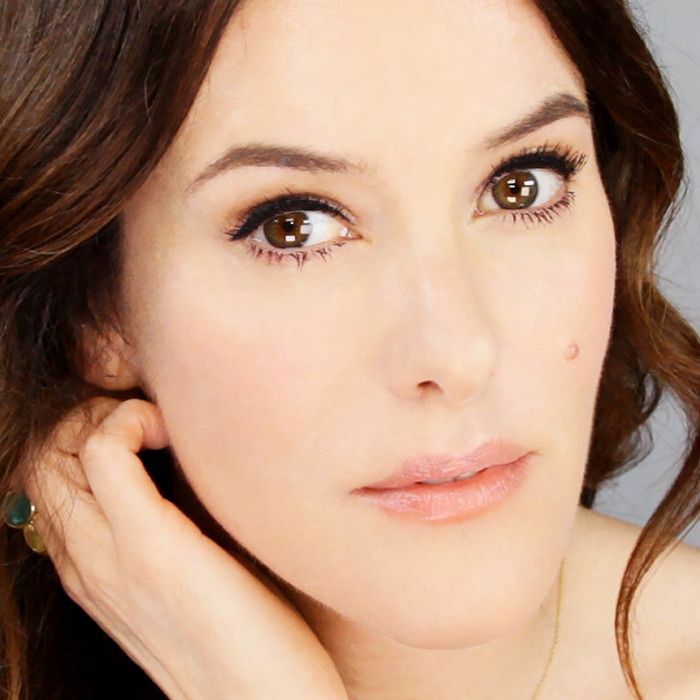 Almost two decades ago, Lisa Eldridge was one of the first makeup artists to have a stand-alone website. Now, she's staked her claim not only as one of the most celebrated artists in the industry—painting the faces of everyone from Bella Hadid and Kim Kardashian West to Bianca Jagger and Kate Moss—but also as one of the most accessible. Eldridge creates well-lit, easy-to-follow YouTube tutorials so followers and fans can tune in and learn to get each look. It's genius, when you think about it, to be both editorial and available to the masses. I'll never forget the first video of Eldridge's I watched, an easy guide to re-creating Kendall Jenner's smoky eye, during which I learned to properly highlight and contour my face in seconds flat. That's after years of failed attempts. With each precise, meticulous flick of the wrist or stroke of her brush, the entire thing was as mesmerizing as it was educational. Growing up, Lisa Eldridge split her time between New Zealand and Liverpool, England. She always loved textures and colors, but she never knew that "being a makeup artist" was a thing. Eldridge spoke of her long-time signature style with Into the Gloss, "I had a set philosophy about makeup from the beginning that's never really changed. I love faces. When I'm out and about, I'm looking at people all the time and see so much detail. Every face is gorgeous. I don't see the negatives. I think, 'What about these amazing eyes or this beautiful bone structure?' I still feel excited about that now, 20 years later." Throughout her decorated career, Eldridge has lived and worked in Paris, New York City, and L.A. "I don't really have an average day," she says. "It really varies from an early call time on editorial shoots, packing for red carpets, or going to my studio to work on collections and tutorials." Now based in London, she works as Lancôme's global makeup creative director, where she creates products and collections that embody her trademark "fresh and flawless" vibe. "I love it because it's all about enhancing your skin rather than covering it up," Eldridge says of the effortless glow she creates. "But, at the same time, selectively concealing anything you don't like. The end result feels much fresher than heavy foundation as you don't have that flat, blanket coverage. It's much less aging too. Thin layers are the best way to create it, build up coverage gradually where needed, and buff well. Finish with smart concealing. 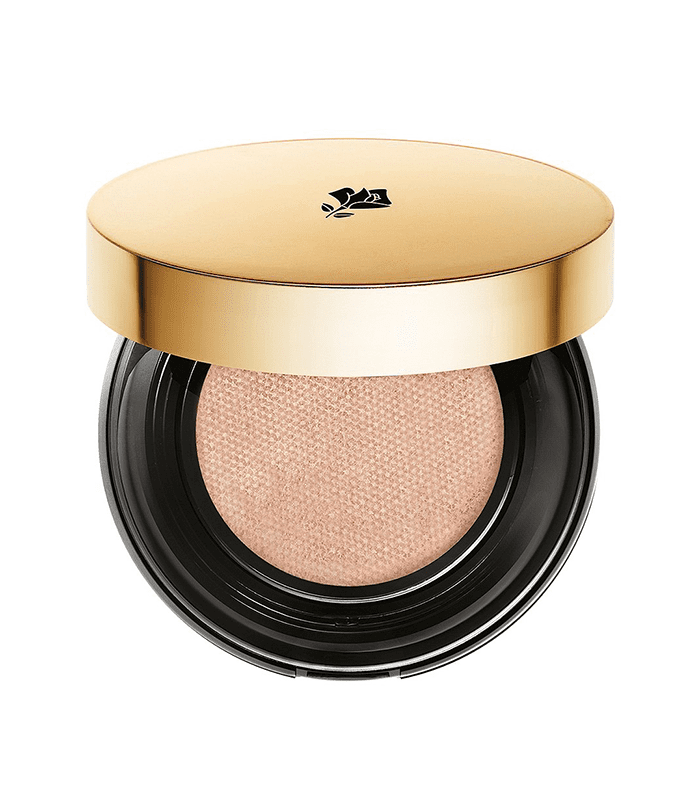 Lancôme Teint Idole Ultra Longwear Cushion Foundation ($47) is a great foundation to achieve this look." As soon as she brought up concealer, my ears perked up. I'm constantly struggling with under-eye circles, bags, and puffiness. I pressed her for more information. "When dealing with under-eye circles, it's important to treat your skin first," Eldridge says. "An eye gel containing caffeine is good for puffiness and tightening. Afterward, apply a primer or good eye cream. I use Lancôme Visionnaire Yeux Eye Balm ($65) because it has an optical blurring effect, and it helps to give an instantly smoother look. It's a great cheat and takes the edge off—before you even get started with your concealer." 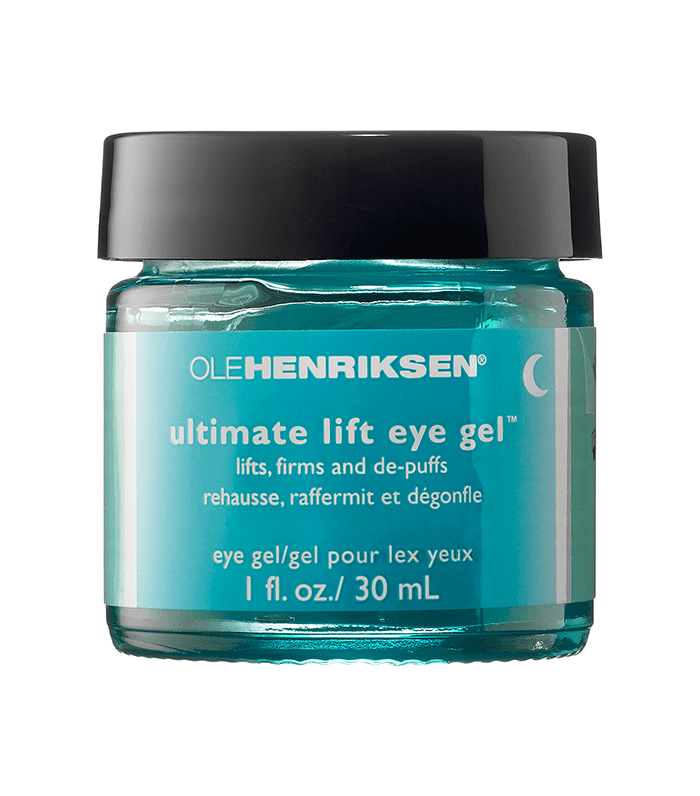 Another standout to soothe tired eyes, and a favorite at Byrdie HQ, is Ole Henriksen Ultimate Lift Eye Gel ($42). It has a cooling, bouncy texture—the gel formula includes cucumber and algae extracts—and instantly firms, refreshes, and de-puffs. "The shape, shade, and amount of concealer you apply depends on your particular issue and face shape," she says. "A bluish under-eye area benefits from a high-coverage brightening concealer with a hint of peach. If the darkness is a result of puffiness, apply concealer all over, and then add a light-reflecting concealer just under the swelling to bounce light. Set with matte powder to help to the area look flat." So, what product does Eldridge turn to when she's working with a famous model after a late night? 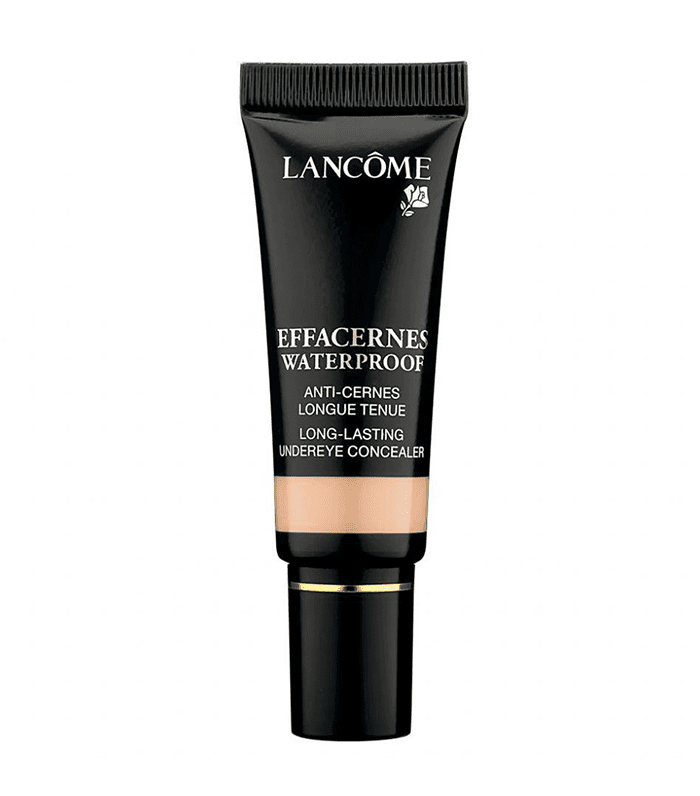 Lancôme Effacernes Waterproof Protective Undereye Concealer ($31), as it "gives natural-looking coverage and is ultra long-wear." It's similar to Make Up For Ever Ultra HD Concealer ($27). But, she hints, "I am very excited about Lancôme's upcoming launch—the Teint Idole Ultra Wear Camouflage Concealer ($31)." Eldridge giddily describes its airbrushing powers, saying, "It's insane. Just wait until it launches in spring 2017." For a particularly difficult morning after, "Keep your eye cream and face masks in the fridge," she advises, indicating this is her go-to secret to fresh-faced success. This trick work especially well with Estée Lauder Stress Relief Eye Mask ($42)—I know from experience. "The first thing I do on a shoot is put all my eye masks, face masks, eyes gels, massage tools, and muslin cloths in the fridge. My clients really appreciate the fact that I can diminish a puffy face or eye in minutes," she tells us FYI: Kendall Jenner has a fridge in her glam room for the very same reason. We moved on to confidence and celebrity crushes. I wondered, after 20 years of interactions with Hollywood stars and notable influencers, who stuck out the most? "Debbie Harry," she answered quickly. "I have loved her since I was really young. She definitely redefined my idea of what a woman could be: creative, hot, powerful, and uncompromising. They say never meet your idols, but I was lucky enough to do her makeup the last time she was in London, and she didn't disappoint. Not only were her cheekbones on another level, but she was also charming and fun." Having been around celebrities for my own career, it's easy to understand that such interactions are rare. Confidence, especially in those situations, is paramount. "Without fail, a killer red lip always makes me feel confident," she says. "I recently created 44 new shades of Lancôme L'Absolu Rouge ($32), and I'm currently obsessed. I like a bright red with both pink and coral undertones, I designed it to energize the face." As our time winded down, hundreds of final questions flooded my brain. What other secrets and tricks of the trade might she reveal? I peered into a nearby mirror where I noticed my skin needed a bit of a boost. It all clicked: "Go-to facialist?" I squeaked, excited that her answer might change my life (and my skin). "When I'm in New York, I always visit Yurga Kors," she says. "Her facials are the most thorough I've ever come across and she is a lovely, kind soul." Needless to say, my appointment is already booked. For more helpful skincare tips, read about how to make your skincare products work 10 times better.